Should your business use Chatbots? 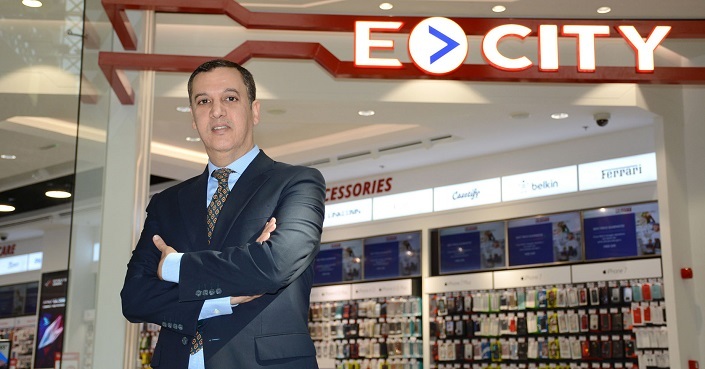 E-City, the electronics retail arm of Albatha Group, one of the UAE’s largest conglomerates, has revealed a strategic AED 67 million expansion initiative that is aimed towards reinforcing the company’s market presence in the UAE and the GCC region. The move demonstrates the company’s continuing efforts to further consolidate their regional operations while also maintaining their leading position as a prime retailer of world-class, multi-branded electronic products. The implementation of the new strategy follows after the company marked excellent performance in 2017. E-City has expressed confidence that the efforts to increase its market presence combined with a continuously growing electronics consumer market will help the company drive in a 20 per cent sales growth by the end of this year. According to the company’s senior executives, E-City will initially move towards reinforcing its presence in the UAE and gradually grow its market in the region. The efforts will commence during the second quarter of 2018, focusing on the opening of newer stores across the UAE and moving on to the Kingdom of Saudi Arabia and Oman. The initiative is also expected to help in the creation of job opportunities. To date, E-City’s stores are spread across the UAE including its branches in the Mall of Emirates, The Dubai Mall and Mirdiff City Centre (all in Dubai); Al Wahda Mall and Dalma Mall (Abu Dhabi); and Sharjah City Centre. Dakir, who led the company’s AED 35 million renovation investment of all E-City outlets in the UAE, highlighted the potential of the KSA market, emphasizing that emerging technologies are expected to foster innovation, which could make radical changes in business models and heighten efforts to achieve the ambitious Saudi Vision 2030. More recently, the company was named as the ‘Most Admired Retailer of the Year – Consumer Electronics’ category of the ‘2017 Images RetailME Awards,’ which recognizes the region’s best retailers.